Silvery pink color. Candied aromas and flavors of vanilla pudding, candied apple and watermelon, and orange blossoms with an tangy, fruity sweet medium body and a seamless, captivating, medium-length finish with accents of tangerine and strawberry sorbet. A lively sweet and fruity dessert wine that will satisfy your sweet tooth. 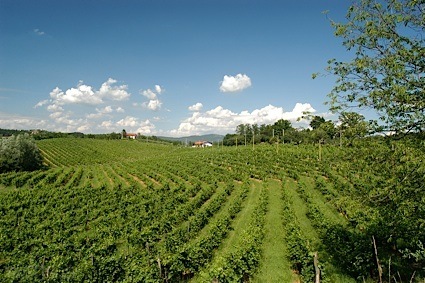 Bottom Line: A lively sweet and fruity dessert wine that will satisfy your sweet tooth. 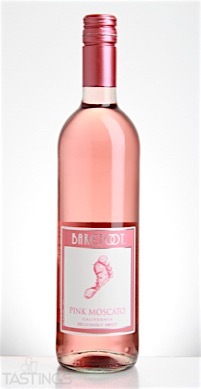 Barefoot NV Pink Moscato, California rating was calculated by tastings.com to be 86 points out of 100 on 9/26/2016. Please note that MSRP may have changed since the date of our review.